If you have an Android phone and have been using the Google Play app store, you should know that Google Play is currently not available in China. If you plan to travel to China, you’d better be aware of this situation and get prepared. In this article, we will discuss this problem and also offer some methods and tips on how to access the Google Play store in China. 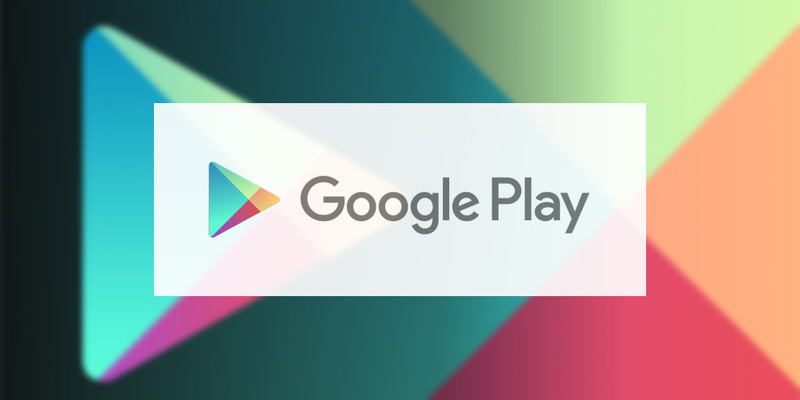 Google Play is Google’s official app store and definitely one of the most popular app stores for Android phones. For people using an iPhone or an iPad, Apple’s App Store is the go-to place for downloading apps. For many Android users, Google Play Store is the equivalent. In addition to mobile apps, on the Google Play store you can also download games, books, magazines and other contents. Is Google Play Available in China? The short answer is no, at least for the time being. If you buy an Android phone in China today, you won’t find the Google Play app store pre-installed on that phone. Instead, depending on the brand of the phone, it will come with some other app stores, mostly likely one offered by a Chinese company. If you own an Android phone purchased outside of China which has Google Play pre-installed, when you visit China, you will find that you can no longer use it. That means, if you try to open the Google Play app, it won’t load. Therefore, you won’t be able to install new apps from there or update existing apps downloaded from the Google Play store. Why is Google Play Not Available in China? Most Internet users in China are aware of the existence of the so-called “Great Firewall of China” (or GFW), which represents China’s Internet censorship. As a result, many well-known websites and services, such as Google, Twitter, Facebook, Instagram etc. are all blocked in China. Google used to be available in China until five years ago when the company refused to self-censor its search results and then pulled its service out of China. After that, most Google services became inaccessible from China, including the Google Play app store. Is It Possible for Google Play to Come to China? Around late 2015 and early 2016, there has been some rumors and news suggesting that Google might launch a Chinese version of its Google Play in 2016 and as a result Android phone users would be able to access Google Play from China. However, since then there has been no follow-up news on this topic. So far the Google Play store is still not available and not accessible in China. What Should I Do If I Can’t Access Google Play in China? If you will only stay in China for a short period of time, you might be able to live without the Google Play store by not installing new apps or updating existing apps during your visit. Or you can set up a VPN on your mobile devices to bypass the blocking and thus access the Google Play app store in China. We will list a few VPN services that work well in China in the later part of this article. If you plan to stay in China for a long time and don’t want to bother with a VPN, you might consider installing some alternative Android app stores that are available in China. We will list a few of them in the later part of this article. How to Use a VPN to Access Google Play Store in China? You need to sign up a VPN service that’s functional in China (many VPN services are completely blocked in China as well). Once you have a VPN account, you can download its mobile app or manually setup the VPN connection on your Android device. To access the Google Play store from China, you just need to turn on the VPN first. Starting Price: $6.67/mo (with special offer of 3 months free when choosing annual plan, click here to get this discount). Starting Price: $5/mo. Free Trial: 30-day money-back guarantee. Reason for Recommending: Reliable connection, fast speed. Windows Software includes obfuscation option to defeat China’s VPN blocking. Starting Price: $3.29/mo. Free Trial: 30-day money-back. What Are Some Alternative Android App Stores in China? Due to the Internet blocking, the Google Play app store is currently not available in China. It’s not pre-installed in Android phones sold in China and can’t be accessed from a mobile device in China. If you need to access Google Play in China, you can setup a VPN service on your Android device to bypass the blocking. You can also consider using alternative Android app stores provided by Chinese companies. There has been some news and rumors suggesting Google Play might be able to enter China in the future. However, this has not happened yet and let’s hope it will become true very soon.